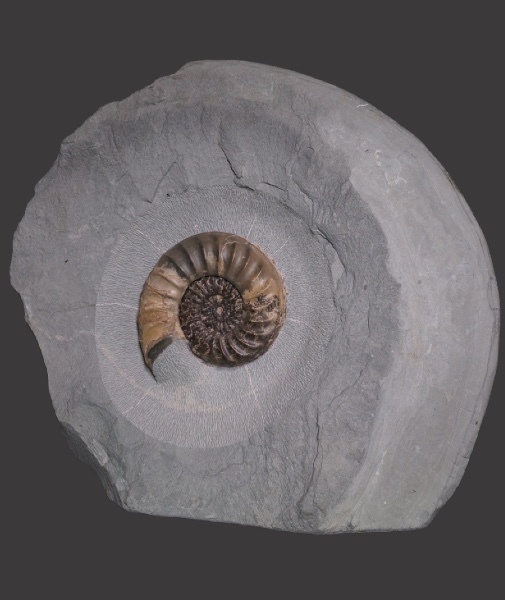 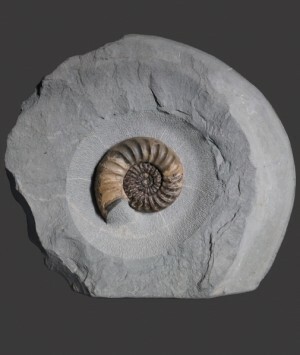 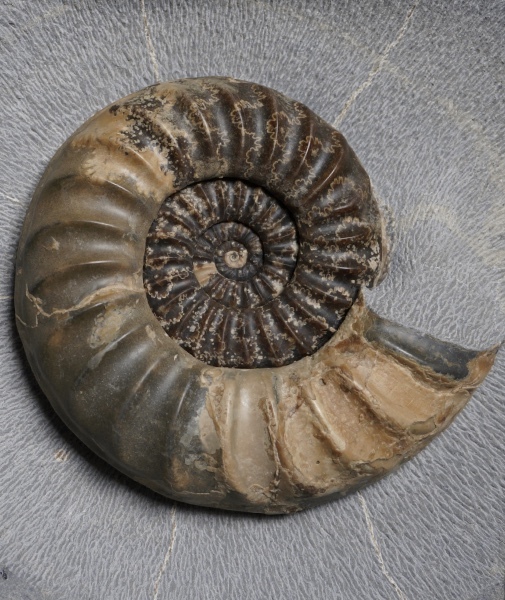 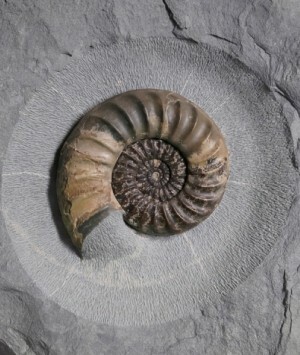 Probably the most well known fossil encountered from this area is the ‘Ammonite’, represented by a diverse group of varying size and appearance. 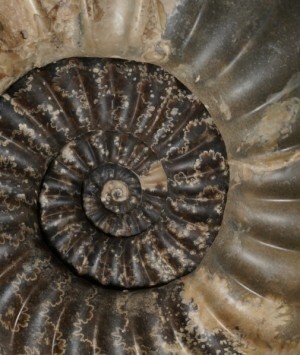 They are an extinct mollusc related to todays ‘Cephalopods’, such as Octopus, Cuttle-fish and Squid. The protective shells are internally divided by a number of separate chambers which allowed the creature to control buoyancy, its head and tentacles emanating from within the final ‘living chamber’, which housed the soft tissue of the creature. 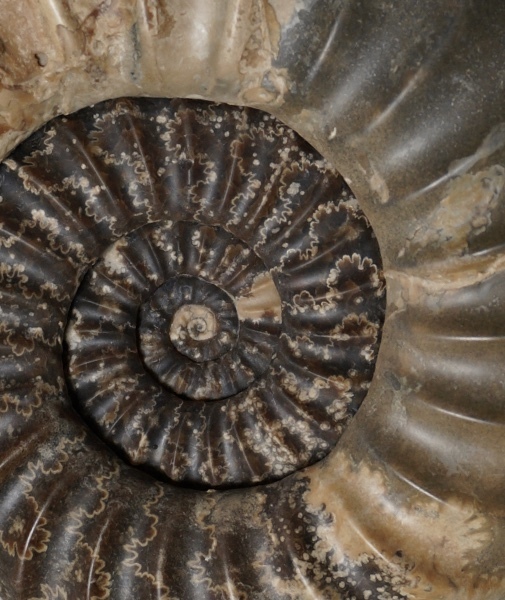 Large examples of this extremely beautiful species of ammonite are rarely found. This exceptionally fine ‘Asteroceras’, specimen is very well preserved and beautifully marked, fortuitously occupying a central position in a complete stone further adds to its outstanding nature. It has been carefully revealed from within a hard nodular matrix known to as, ‘flatstone’.